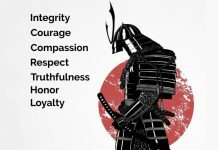 There are several concepts in the martial arts that are deceptive and often misinterpreted. Things aren’t always what they appear to be or what they look like on the surface. There are no hidden secrets or secret techniques that give a master super human capabilities. If anything is hidden it’s hidden in plain sight. We often see but we don’t understand what it is we see. ”There is nothing wrong with your eyes Hoppa Grass, it’s your perception or lack thereof”. Too often people misinterpret power for strength or positioning for footwork. No, my friend, all of the hopping around and dancing in place that we see these days is not karate. Kick boxing has become confused with karate. Karate requires a strong base and a rooted stance to garner the power that is its earmark. That doesn’t mean we just stand in one place. We use tai sabaki or body positioning to address an opponent’s aggression. We also turn and position the body of our adversary to place him at a disadvantage. Too often a karateka will try to substitute strength for kime (focus). Proper body physics, alignment and sequence coordination produce more power than raw strength alone. Understanding such simple principles will ultimately mean the difference between success and failure in the arts. I could spend hours talking about such principles but that would be like trying to reveal the entire foundation of the art in a few paragraphs. Such an undertaking would require much more time and space than I am allotted here. What I would like to talk about is developing speed in the martial arts. First of all speed is misleading. What the average person would consider raw speed isn’t what it seems. 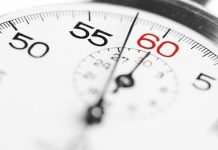 When we think of speed we generally consider forward momentum or acceleration. Like saying a car can go from zero to sixty in six point seven seconds. That’s raw speed. The time it takes to get from point A to point B. That type of speed is important but having speed in the martial arts require more than that. It requires more than just hand speed. What we interpret as speed involves several elements. One is deliberation. In a fight you won’t have time to interpret your opponent’s intentions, choose a response and act on it. By the time you go through that process you’ll be hit and probably on your way to dreamland if not the hospital or the morgue. Self defense depends on muscle memory. You have to develop that in the dojo. You don’t have the luxury of learning to fight during the conflict. Muscle memory is developed by repetition. You would have had to do a technique over a thousand times for it to become reflexive. If you have to think about it it isn’t going to work. 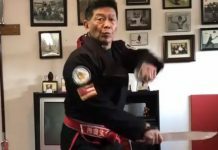 The seiken zuki of karate is a straight line punch that hits with as much or more power than a roundhouse punch or haymaker. Instead of the drawing back of the hand or the long wind up it depends on the twisting of the hips to create both power and speed. The seiken zuki creates tremendous speed and power over a short line of execution. What we perceive as speed requires good eye hand coordination. Knowing how doesn’t always translate into the done deal. That’s why constant practice is necessary. The difference between the master and the average student is in the basics not in superior technique. 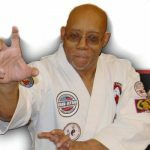 Practicing the basics creates the natural ability to make speed and every other element in karate possible. Another consideration in what we perceive as speed is reaction time. Responding to the opponent’s action without hesitation. Again this is possible because the response is hard wired into neurological network of the karateka. Thousands of repetitions of a given technique, especially in relation to various stimuli makes this possible. This kind of reaction is said to originate from the spine rather than the brain. It bypasses the recognition/response sequence. And of course there is timing. Without timing reaction time is of no accord. It’s possible to be too fast. If a block is too fast it can get there before the attack and still result in the defender getting hit. Often the missing element in speed of execution is foot work and positioning. This principle is called tai sabaki. With superior footwork and positioning eye blazing speed is no longer necessary. With this concept it is possible to position yourself and your opponent to your advantage. From that advantage point it is often possible to throw one or several shots to an opponent’s exposed pressure points with impunity. The result gives the illusion of speed because it allows several unanswered techniques in quick succession with no effective defensive reaction from the opponent. Another element of speed is the narrowing of the defense/counter attack sequence. Eventually defense and counter will be accomplished in the same motion. An experienced practitioner should be able to go from the two beat block counter sequence, to the half beat counter and eventually the simultaneous defense and counter attack. Slipping, dodging and ducking attacks while attacking the exposed parts of the opponent’s body also results in superior speed. Various techniques such as parrying, jamming, locking, trapping and such like stacks the deck for the karateka and results in more effective defense and counter attacks. In combat the direct, least complicated approach is generally the best approach. Lastly the ability to move the defending or attacking weapon from point A to point B or what we call raw speed can be developed. All of these elements work together to achieve actual and relative speed. Conservation of energy may often mean being no faster than success requires. Overtaxing the body by going beyond the requirements of the situation isn’t a good practice. One never knows what other challenges awaits. Spending all of your energy on one opponent can mean disaster if another opponent presents himself. There are many elements that add up to together to create an effective fighter. Speed is just one of them. All of them must be taken into consideration to create the well rounded fighter. It’s possible to be fast and yet be ineffective. By the same token it’s possible to be strong and have little or no power. Every link in the chain has to be present to offer a chance of success. Any link in the chain can spell a lack of success and even disaster. 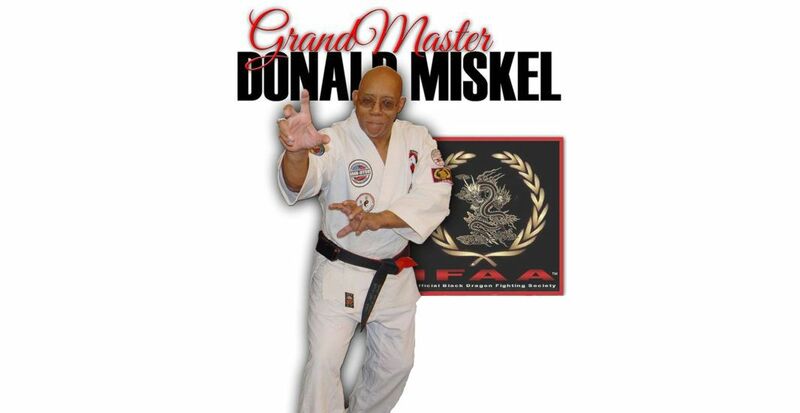 The art of karate or any other martial art must be practiced in its entirety. To perfect one element to the detriment of another will result in a less than effective system. The study of any martial art requires a balanced effort. It’s a package deal. All of these fine points taken together will equal a total art. With the proper study, training and application that total art should translate into an effective art. In the end, the art is no more effective than the practitioner and the practitioner is no more effective than his training.